At Richard Kutcher Tygier & Luminais, LLP we understand that the goal of major regional and national insurance companies is to achieve cost-effective resolution of automotive casualty claims. Louisiana is an important but potentially risky market for many insurers. The Louisiana Direct Action Statute allows insurance companies to be sued directly. That is why the experienced local representation of an automotive casualty lawyer at Richard Kutcher Tygier & Luminais, LLP can be such a valuable asset to our clients nationwide doing business in Louisiana. Please contact our offices today to schedule an initial case evaluation. Our clients are automotive insurers often dealing with a large volume of smaller casualty claims. Our targeted, effective and cost-conscious approach begins with a thorough and timely investigation to provide an accurate assessment of the automotive casualty case and to make reliable recommendations to our clients as to which course to pursue. 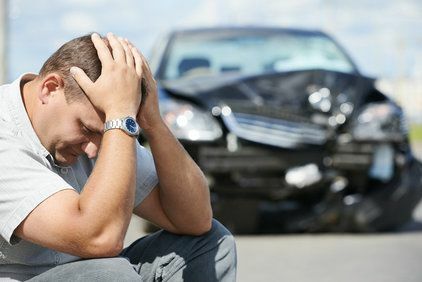 In most cases, we represent our clients' interests in mediation to minimize the time and financial cost of resolving an automotive casualty claim. As a respected mediation law firm, our decades of experience and history of results produced through alternative dispute resolution enable us to serve the needs of our clients effectively and cost-efficiently. Please contact our offices today to schedule an initial case assessment with a respected Louisiana automotive casualty insurance attorney. We have mediated literally thousands of these cases and we are prepared to fight for your interests at trial, if necessary.